The FMCG industry is renowned for some of the most inventive PR campaigns and for capitalising on seasonal events such as Easter and Halloween. However, more often than not it is the consumers that are at the forefront of the campaign, but what about the manufacturers? 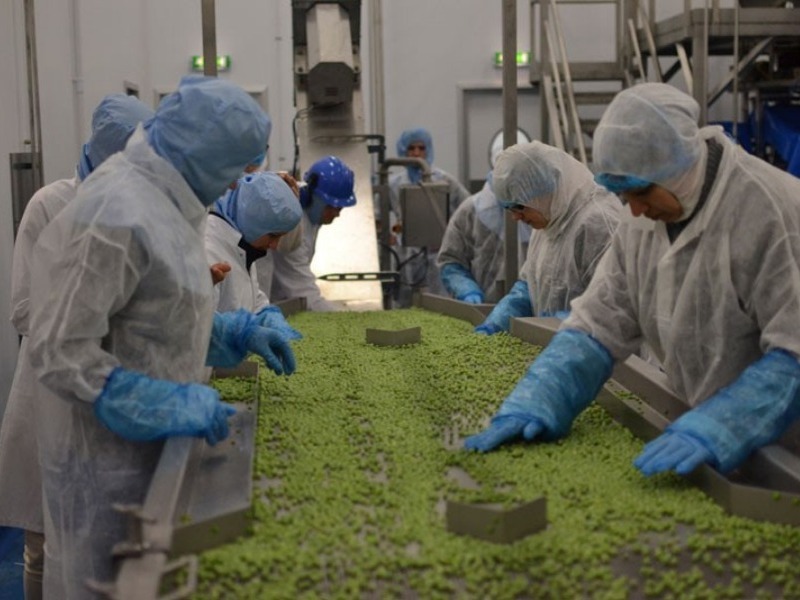 Food and drink manufacturing is a very competitive industry, therefore it’s important that businesses can stand out from the rest. The best and most effective way to do this is to incorporate PR into your marketing and communications plans. The sector has a number of great trade titles such as The Grocer and Food Manufacture, which are read by most people in the industry. Those looking for a manufacturer to develop their products are more likely to pay attention to a business if they read about them regularly in their industry magazines. Alternatively, for manufacturers looking to get their products into retailers such as Tesco, Sainsbury’s and Asda, securing coverage in titles such as Retail Express and Convenience Store, also helps to build your profile and awareness of your products. A good B2B PR agency will focus on securing space in trade features and aiming to get any newsworthy business updates into publications that are not only relevant to your sector, but also regularly read potential customers. At Dragonfly PR we work hard to build and maintain relationships with trade journalists writing for a number of sectors, and are extremely efficient in securing space in their publications for our wide range of clients. PR isn’t just about writing for the news, it’s also about maintaining a good reputation online, through your website and social media channels. A manufacturer that can provide examples of their work through online case studies or provide opinion on industry news in blogs is going to be more appealing, as your website will be up to date. You will also integrate relevant keywords onto your site and therefore rank higher on search engines. In addition, blogs and case studies provide great material for social media posts that can link back to your website, potentially increasing the number of monthly visitors. Opting for an agency, like Dragonfly PR, that can provide a social media management and blog or website copywriting services on top of campaign planning and drafting press releases, will provide a better return on investment in the long term. Think about the number of times you have flicked through a magazine or newspaper and stopped to read an article. Now think about how often you stop to read an advert. We’re guessing you’ve probably paid more notice to the editorial piece and completely skipped past the advertisement. Research has proven that editorial has seven times the impact of an advert. With a piece of editorial, although the copy is likely to refer to the manufacturer’s capabilities, it’s also going to offer insight, advice and useful information about your business and its products/services. Furthermore, it offers third party credibility and helps to position you as the industry experts. It’s also worth remembering that most if not all media outlets now publish articles online once they have appeared in print, so it’s likely that your press release will be around a lot longer than your advert features. Richard Branson once said, “A good PR story is infinitely more effective than a front page advert”. Coming from a leading entrepreneur that founded of one of the world’s most successful companies, we think it’s safe to say that PR offers a greater return in comparison to advertising. Dragonfly PR is South Yorkshire based public relations agency that specialises in B2B PR and has expertise in the food manufacturing sector. For examples of our previous work in food manufacturing PR, visit http://dragonflypr.co.uk/casestudy. For a free no-obligation review of your requirements, email hello@dragonflypr.co.uk or call: 01709 300130 to find out more.